School hygiene rooms provide specialist toileting facilities for pupils or students with disabilities in special and mainstream schools. Building Bulletin 103 states that accessible toilets for pupils and students, staff or visitors with disabilities must be included in mainstream schooling. 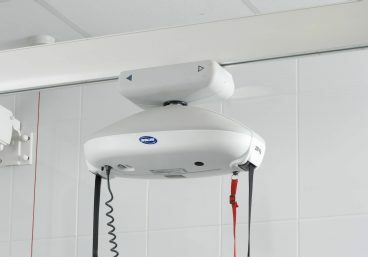 Toilet provision should also include a specialist hygiene room with a fixed or mobile hoist and space for assistants to change a pupil or student. In a primary school this should contain a changing bed and accessible WC unless this is included in an adjacent accessible toilet (9m2). 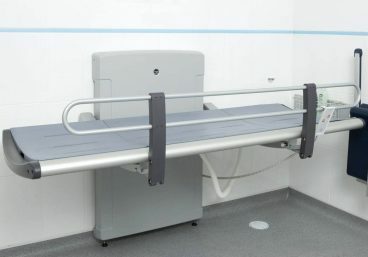 In a secondary school this should contain an accessible shower, sluice toilet and changing trolley (12m2). Building Bulletin 104 defines the ratio of toilets and hygiene facilities that must be provided per student, in special schools, alternative provision (AP), specially resourced provision (SRP) and Units. It also lists the equipment needed for a properly kitted hygiene room. It is also important to consider the legislation under the Equality Act 2010 which requires service providers to make reasonable changes where a disabled person would otherwise be at a substantial disadvantage. Statutory Instrument No 2 specifies that the number of toilet facilities must be adequate having regard to age, gender and any special requirements. 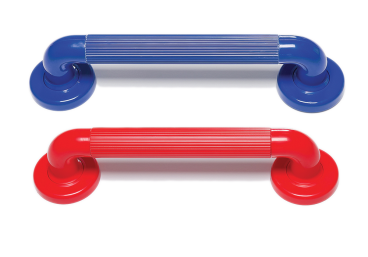 There should be enough room for non-ambulant children to move around and for staff to help them if necessary, taking account of manual handling and transfer arrangements, including the use of mobile hoists. A space for assisted changing needs to be around 12-20m2. Fixture and fittings should be robust, at an appropriate height and within easy reach. 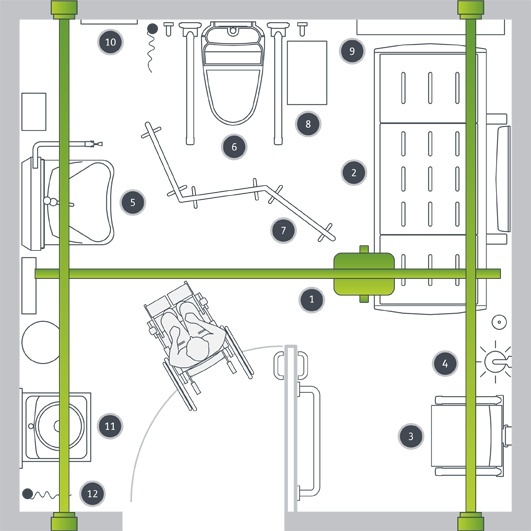 The layout, fixtures and fittings should reflect the age of the children and help them develop personal care skills. Particular attention needs to be paid to fittings where a school has pupils or students with motor disabilities, encouraging their use by considering both dexterity and touch. Screening needs to allow for supervision while maintaining children’s privacy. 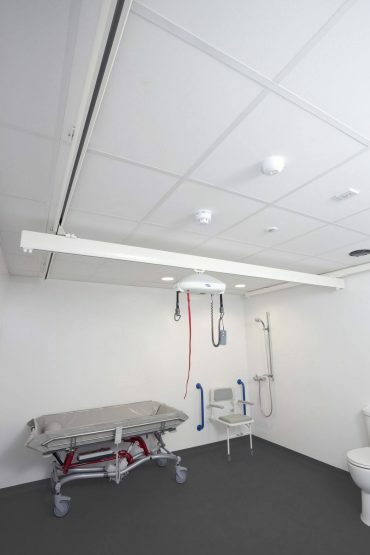 Shower facilities included in hygiene rooms should be level access and include a shower seat, preferably drop-down, or a mobile shower chair.